Home News in brief Profession news Blockchain – the future of business. What should your Lawyer know? Blockchain – the future of business. What should your Lawyer know? Blockchain’s cryptography feature is often misunderstood. This means that storing information on a Blockchain network is secure and not anonymous. The Ledger is un-editable and therefore the records stored in a Blockchain unalterable. From a legal perspective to various business functions, this is both vital and positive. By eliminating failure to comply with contractual obligations. As Entrepreneurs we have often faced the eventuality where parties default in terms of payment or some other obligation, this happens even when we have the best Agreement in place. Besides creating a crucial and unalterable record, the technology records activity in real time and thereby enables the other party to make sound commercial decisions quicker than we were able to do prior. By tracking stock. It is crucial in manufacturing that products reach the Distributors and End Retailers on time. However, stock is often lost or misplaced for extended periods of time, which results in losses for Manufacturers. Here, again the application of Blockchain technology could address the issue of tracking he production of stock as well as its dispatch, the logistics and end destination. 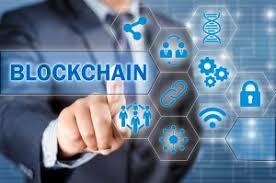 By increasing transparency-in web- based businesses the application of Blockchain technology increases transparency, keeps track of the incoming and outgoing products and makes management thereof more efficient. “Entertainment — Founded by a singer-songwriter, Ujo Music tracks musician royalties as well as allowing them to create evidence of ownership of their work. Insurance — AIG is piloting a smart contract system to oversee the creation of complex policies requiring international cooperation. For the Legal Profession this is an interesting time where Practitioners will have to understand the technology to the required degree in order to advise Clients on the content and processes they intend to run on a Blockchain Network. Many aspects that have traditionally been time-consuming to investigate and accurately identify in order to remedy, will be addressed by the technology. It is therefore vital that the manner in which this is implemented is done in compliance with the relevant regulations and latest best practices.